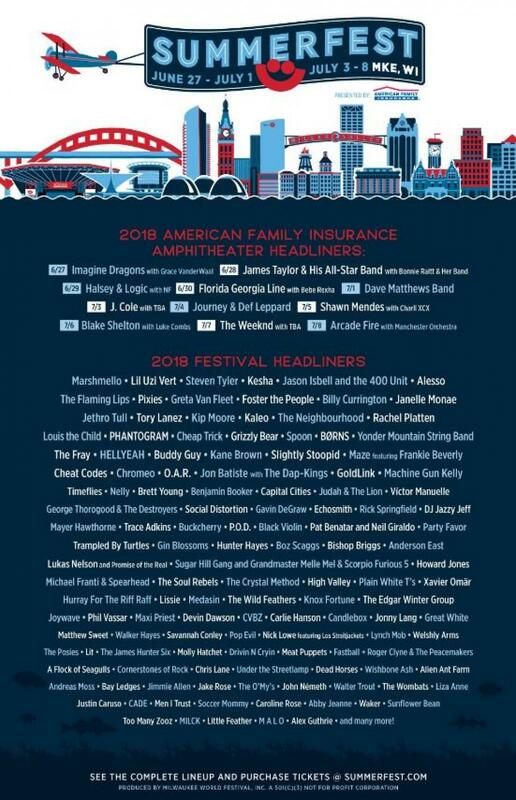 MILWAUKEE, WI – Summerfest presented by American Family Insurance is excited to announce the 2018 headliner lineup for this year’s festival. The full story can be read here at Billboard.com. From pop to hip-hop, country to EDM, reggae to classic rock, this year’s lineup stays true to Summerfest’s roots, offering something for every music fan. Featuring entertainment 12 hours a day for 11 days on 12 stages, with over 800 acts, Summerfest continues to earn its reputation as The World’s Largest Music Festival.